So blogging has become popularly trending nowadays. There are so many things that we would like to share, interesting places and food to discover, ideas to express and fashion statement to influence. Though we could share all these amazing things on social media, starting a blog is much better as you can express your opinions as freely as you want without being under a limit of word count. Most bloggers decide to start a blog to express their opinions or share a portion of their life to their followers. 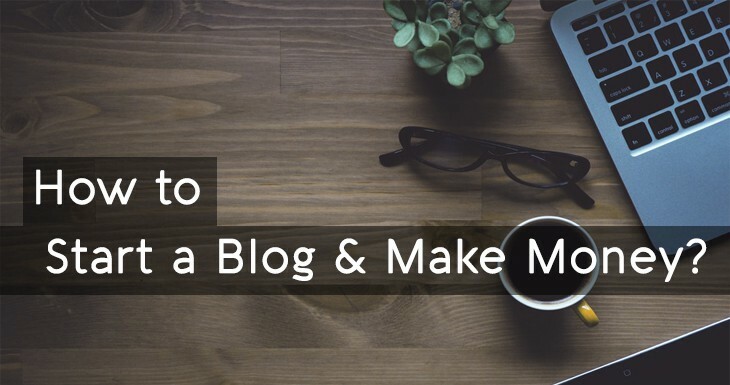 Though blogging is a great medium to pour out those emotions that you have wanted to express, it is also a great way where you can start earning money. Yes, you have heard it right. Blogging can not only bring you more followers and acquaintances, it could also bring more cash on your savings account. Read on the tips below on how to start earning money through your blog. Creating a blog site does not require much investment but could potentially generate high profit. There could be a lot of topics that you can choose from, but you have to be wise on selecting which kind of topics would generate more traffic on your website and would maximize your potential income. Assess the things that you are most interested in and check its popularity in the market to see if it would generate more followers. You have to have a passion for the topics that you are writing about to exert a great work. Fashion and Beauty Blogs – Everyone is crazy over fashion and the latest trend in beauty products. Even that most introvert girl in the counter secretly dreams of being an IT girl, or at least have a built-in closet full of the latest clothes, shoes, and jewelry. Once you have built a readership, they would also use the products that you are promoting. Travel Blogs – We all want to travel and explore the world but we do not have the luxury of time and resources. Having a travel blog would take your reader out of there ordinary lives into a different world filled with interesting people, cuisine, and culture. Visit an exotic island and share this experience with your reader, let them see the beauty of nature by the captivating photos that you have taken and have them experience the culture and tradition of the place as if they are there. Also give interesting historical trivia of that said place as well as tips on how to save on your travel but still get the most out of your experience. There were some successful bloggers who quit their regular office job and went travel for a living. This is made possible since they were able to get sponsors and advertisers once they have already established a reputable number of readers/visitors. Foodie Blogs – We used to grace our meals with prayers before we eat but this practice has been replaced by taking a picture of that mouth-watering food and post it on social media before taking a bite. Food business has always been successful before the advent of technology since all types of people have their hearts on their stomachs. People are always interested in food so making a foodie blogs would be a smart idea. Feature restaurants that serve delicious but pocket-friendly menu and always provide easy but interesting recipes to your readers. Tech Blogs – Technology has been a part of man’s life and manufacturers are competing on releasing their own latest version of smart phones, laptop, digital camera and the like. Most of the consumers would check out the reviews on the internet first before they would decide to purchase that product. Starting a blog on technology or reviews would always get the eye of those tech-savvy out there. Health Blogs – Not only do we live in a world where people are crazy about fashion, but our world is also filled with health-conscious people. A lot of people have started practicing awareness in the type of food that they eat and spend a lot of hours at the gym to make sure that they get a healthy and fit body. A health blog would potentially give you profit as this is one of the most profitable niches. You can have a wide range of health-related topics such as weight control, nutrition, and health analysis and research. Money and Business Blogs – This type of blog targets young entrepreneurs who are only starting on their entrepreneurial journey. They turn to blogs to widen their knowledge of the how’s and what’s of the business world. Choose topics that provide tips on how to have a successful business. Blogging Tips Niche – There are hundreds of bloggers who blogs on blogging tips, seo, make money online and also share product reviews like hosting reviews, wordpress themes review, and plugins. This niche is also a great way to build readership as well as generating revenue. You can make enough money by promoting blogging products such as WordPress hosting, seo services and tools. To generate a potential income, you have to make sure that you get a lot of traffic on your website. The more popular you are as a blogger, the wider your market is. Aside from having a unique and fascinating blog, you have to make sure that your blog contents are timeless, those that do not just come and go just like the latest trend or fad. To get more traffic, write contents that are search-engine friendly. Also, create blog contents that are timely and relevant, like current events or trends, and make it relatable to the human experience. Use social media to your advantage. Tweet links to your post and share your content on Facebook and have your friends share it too. This way, you are expanding your audience. Try guest posting on other blogs. Not only will this build relationships to your fellow bloggers, most bloggers will include a link to your blog which will eventually raise the value of your blogs to the search engines like Google, Bing, and others. More importantly, create a strong headline to attract visitors to your website. Most readers check on the headline first, and if it’s interesting enough, they will proceed on visiting your site. To create an attention-grabbing headline, use numbers in your headline as this catches people’s attention more. You can also use interesting adjectives and unique rationale words such as facts, principles, ideas, tricks and more. To come up a great title or headline ideas, you can use services like SEOPressor Title Generator, BlogAbout, and Headline Analyzer by CoShedule. For you to be able to earn on your blog, you need to have massive subscribers. Getting the loyalty of the readers is one of the challenges that bloggers face. To make sure that the number of your subscribers’ increases, start by giving first-time visitors the kind of special treatment that they deserve. Most of the marketing strategy practiced in the business field is offering special promotions or freebies to new customers. To turn your visitors into email subscribers, offer first-time visitors a special discount on their first purchase or refer them to a page where they can get a free stuff download. Besides, know your prospective market. They would be more likely to subscribe to your blog if the contents are something that they are interested in. Providing relevant content and relatable articles to your visitors increase the likelihood of them becoming an email subscriber. In addition, encourage your current subscribers to forward your emails. Offer some value to your current subscribers that they will get if they forward your emails to a list of friends. This strategy works in increasing the number of your subscribers as most new subscribers would more likely to sign up since they got the recommendation from someone they trust. You can also place opt-in forms all over your website strategically to convert traffic into email subscribers. The best part where you can put your opt-in forms in your website would be at the end of each of your blog post. A random website visitor would be more likely to become an email subscriber if they liked what you share in your post. Also, stand out from the rest of your blog competitor by offering “free giveaways” to increase the number of your email subscribers. With so many online businesses and blogs out there, it is hard to get your customer’s attention without offering any substantial. Though the content of your blog is outstanding, great blog contents would not bring more readers unless you have a steady group of audience that reads and engages them. When you have a large number of readers, you will get more ads that could result in a substantial income. To build up your audience, promote your post as much as possible. Do not just limit sharing your post to one social media. Use the entire available social media platform to gain more popularity on your blog. Also, not only you would need to post quality content on your blog, but you also have to make sure that you publish on a consistent schedule. You could also engage your current subscribers and include them in the process of creating your next content. Visitors would more likely to come back to your post if you let them know that you want to create contents just for them. Try to post a survey feature to your blog for your visitors to answer what they want to read about, it will not only help you learn more about your market, you would also not run out of blog ideas. Also, allow visitor’s comments on your blogs and answer their queries or reactions. This would encourage visitors to become your loyal readers since it would feel them valued if the author is interacting with them. You can also contribute a guest post to top blog’s in your niche to grow your audience. Identify top blogs that have active followers and engaged audiences. Guest blogging to top blogs would create more awareness about you and your blog which increases your followers in return. With the number of bloggers increasing, you need to be unique and interesting to gain more readership. Show personality on your blog by connecting with your audience, talking to them directly, answer their questions or share some personal information about yourself. Readers would love to follow a blog where contents are experiences that they can relate to. Engage with your followers by allowing them to place a comment on your blog and take time to read and respond to those comments. This would build a stable relationship with your followers. Also get in touch with other blog influencers and create a relationship with them. This practice will help you to gain more insights from the successful bloggers and at the same time create a network in which your brand could be promoted. By checking out on the top blogger’s site, you would get an idea on how to have unique content. Also, make sure that your website is attractive by applying the unique theme as more readers would check out your blog if the appearance captivates their attention. There are a lot of beautiful templates providers such as Thrive Themes, MyThemeShop, and Genesis that you can buy/download and apply the theme to your blog. Make sure that you proofread and edit your blog contents. You can read out the contents loud or use screen-reading software to review the tone of your blog. Lastly, your blog should be mobile friendly as the majority of the people use their smartphones to check everything. Your blog should be an accessible source of information where readers can check out anywhere at their most convenient time. Social media has gone mobile now so your blog should go mobile too. You will lose a lot of potential traffic if your blog is not mobile friendly. Increasing subscribers to your blog and generating a steady income through blogging are as easy as 123 when you apply these tips strategically and in the right way. So start creating your blog now and have it pave its way to the increase of your savings account.